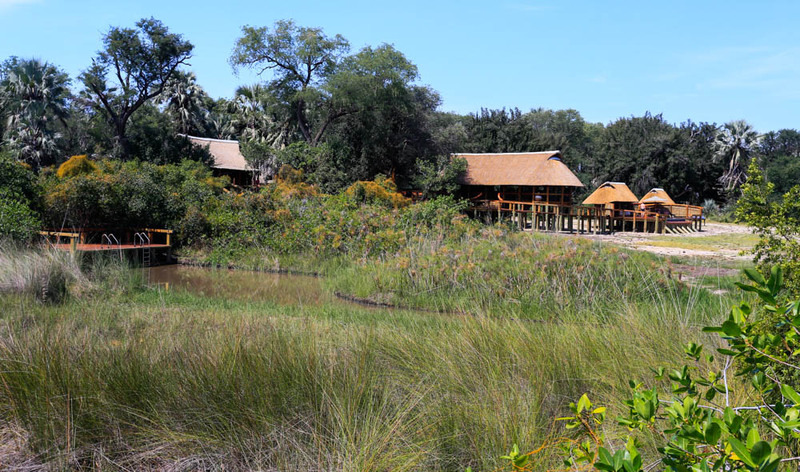 Located on Nxaraga Island in the Okavango Delta, Camp Okavango offers guests a full water-wilderness experience. 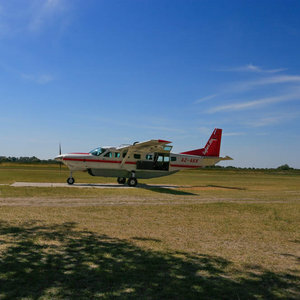 The Okavango Delta is the world’s biggest inland delta. 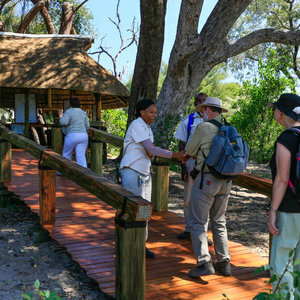 The Okavango Delta is an aquatic maze of channels, lagoons and lakes. 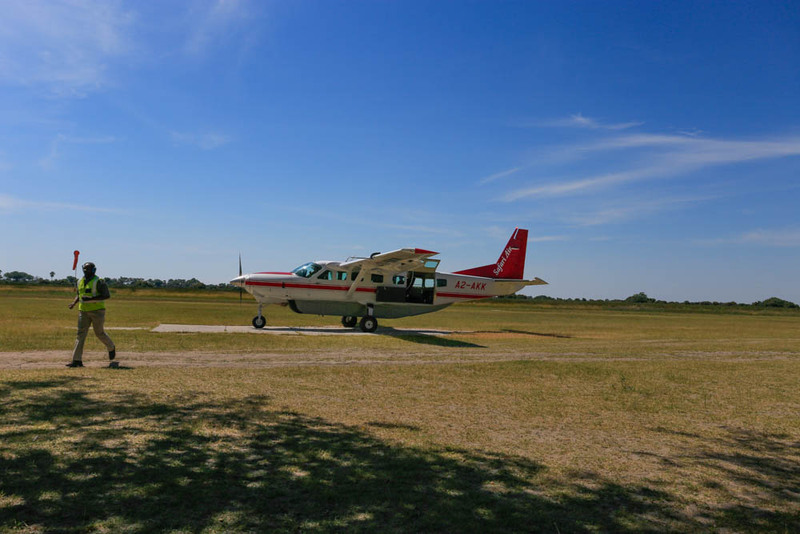 During the dry season, the delta experiences annual flooding that sees the area swell to an impressive size attracting thousands of animals, making for great safari experiences. 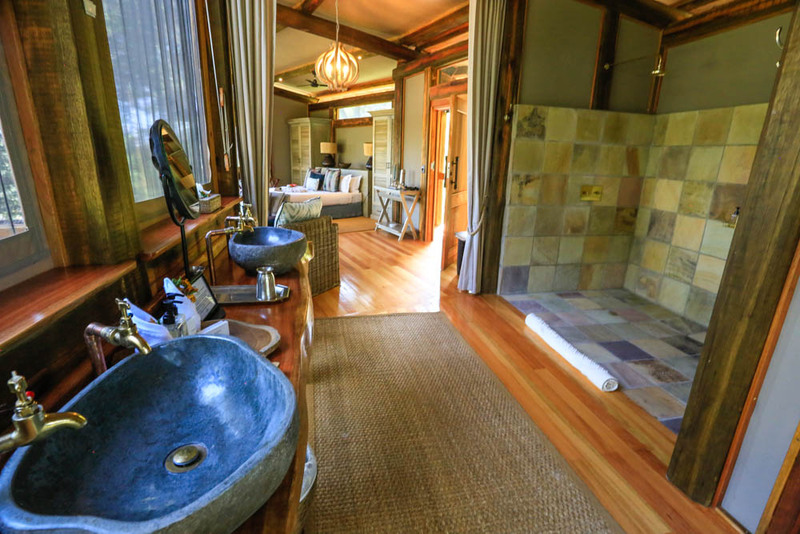 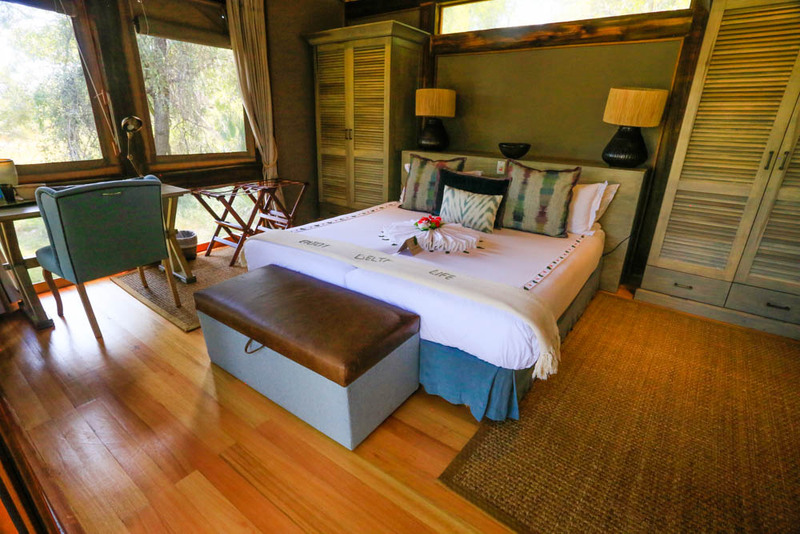 Camp Okavango’s remote location looks to create a peaceful and private safari experience. 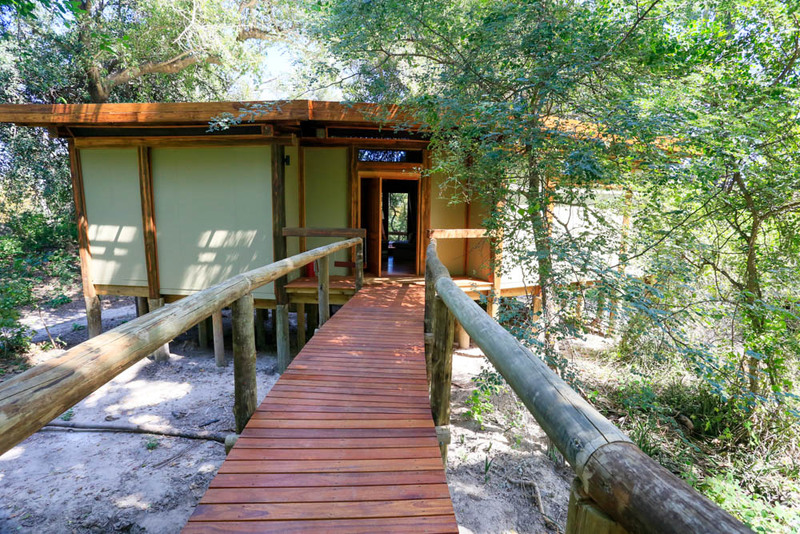 The lodge is accessible by charter flights and is made up of 12 suites raised on platforms; each with a large private deck. 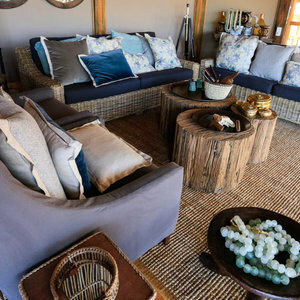 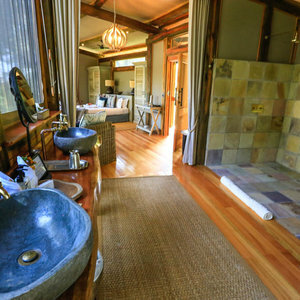 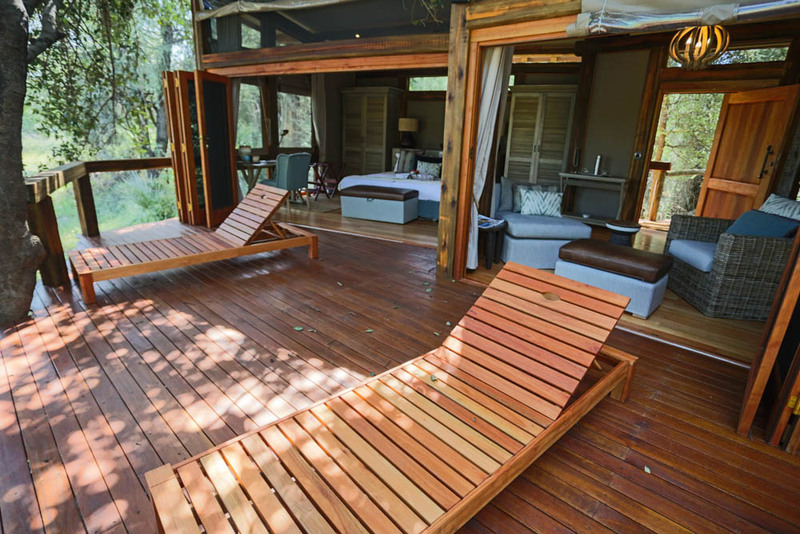 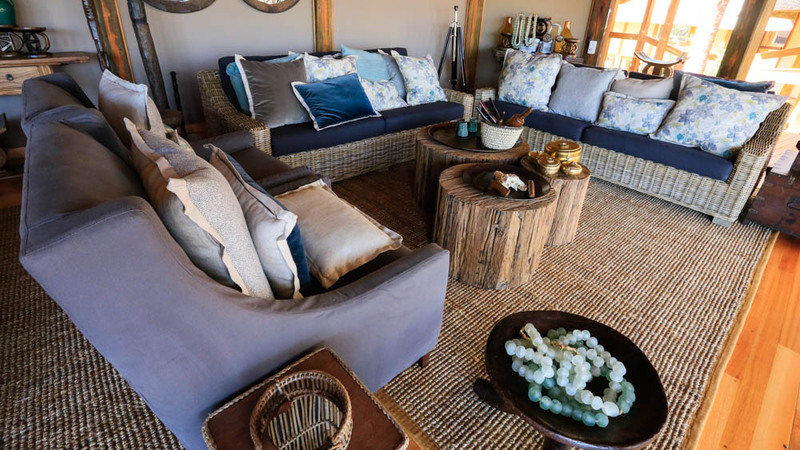 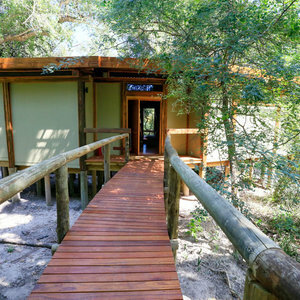 The lodge has three levels connected by walkways and decks that offer views of the beautiful natural surroundings. 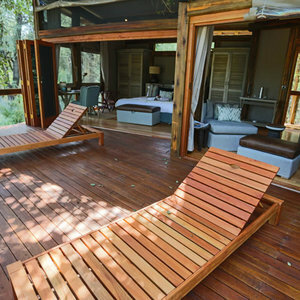 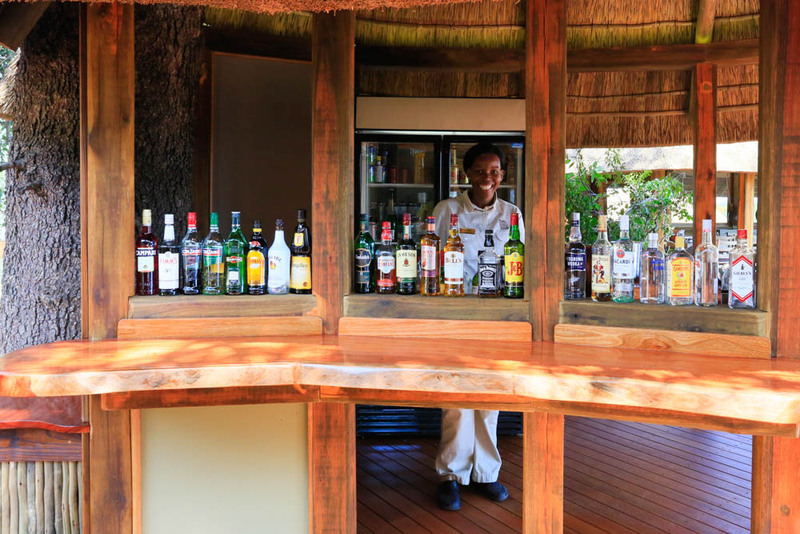 The swimming pool, thatched lounge deck, and large garden are available to relax in after a day of water based activities and game viewing. 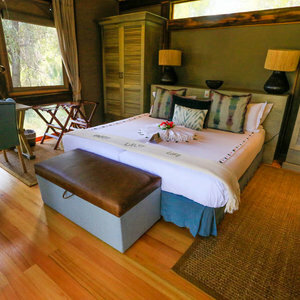 “As is the case with so many places in Botswana, the location of Camp Okavango is a highlight. 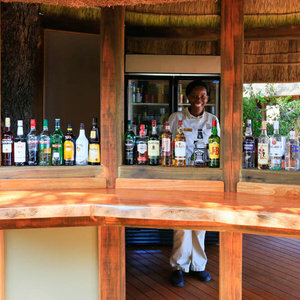 Camp Okavango is in the permanent Okavango meaning it offers water based activities year round. 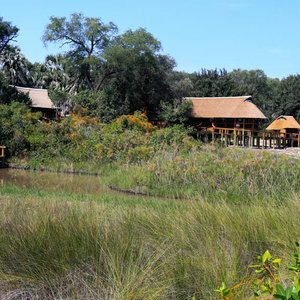 Guests can explore the surrounding water ways and lagoons either by mokoro or by motorboat. 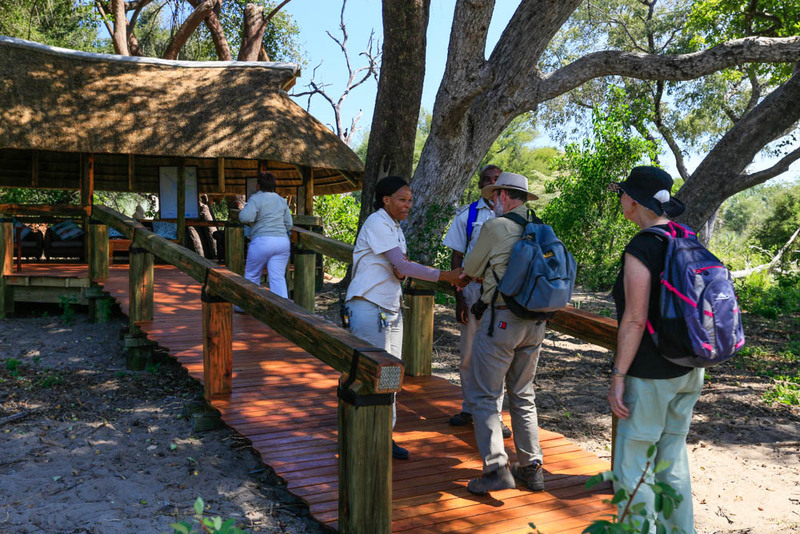 There is the usual game viewing, characteristic of the delta, and Camp Okavango is fantastic for birding which guests can embark on either on the boat cruises or on seasonal guided nature walks.